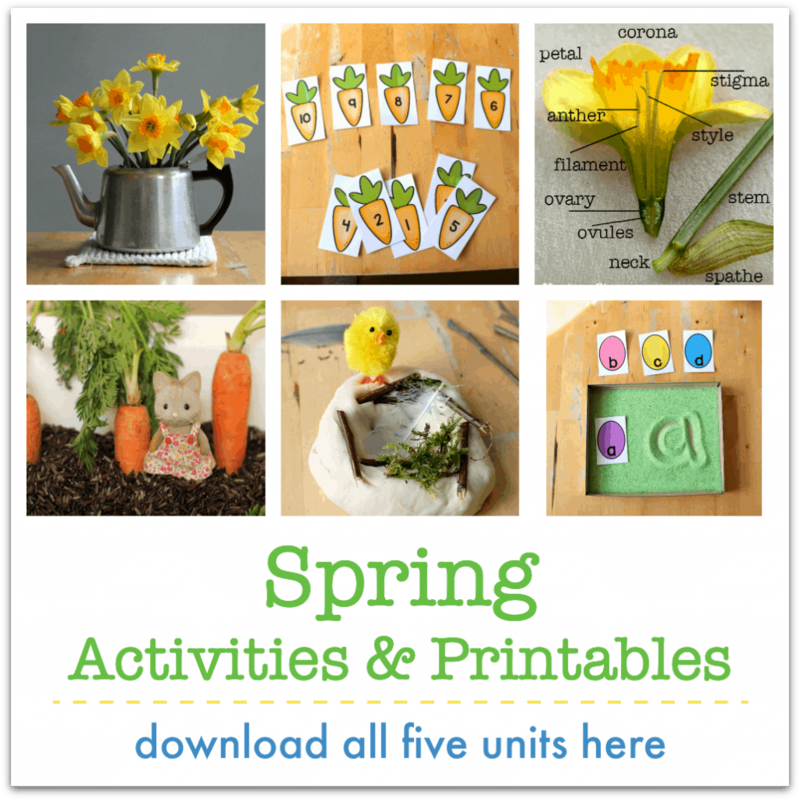 Use these resources to make a seasonal nature table or nature discovery center that engages children in thinking, exploring and learning about spring. Do you have a nature table? 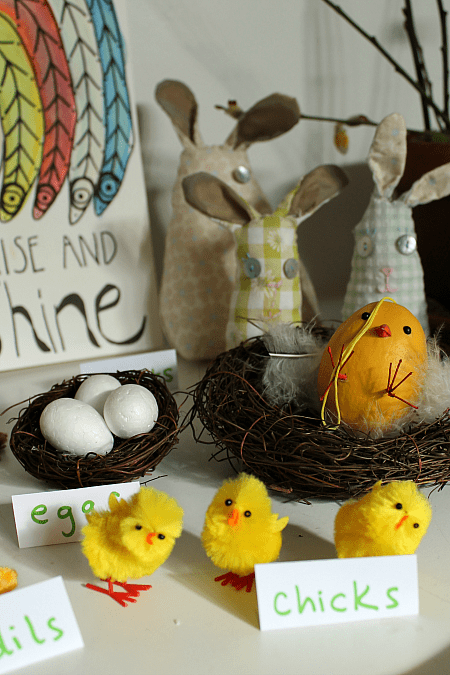 They’re a wonderful way to bring nature into your home or classroom and encourage children to connect by investigating and responding to the treasures of the season. 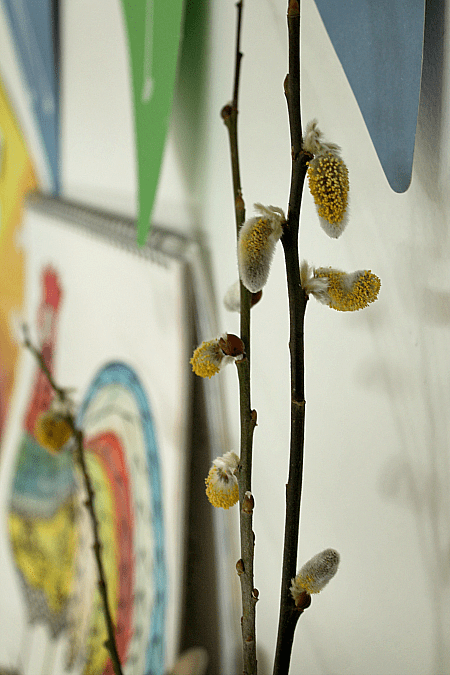 Let’s get our nature tables ready for spring today. A nature table can have different purposes. Some people set one up as a kind of altar or shrine, to honour nature and our connection with the earth. 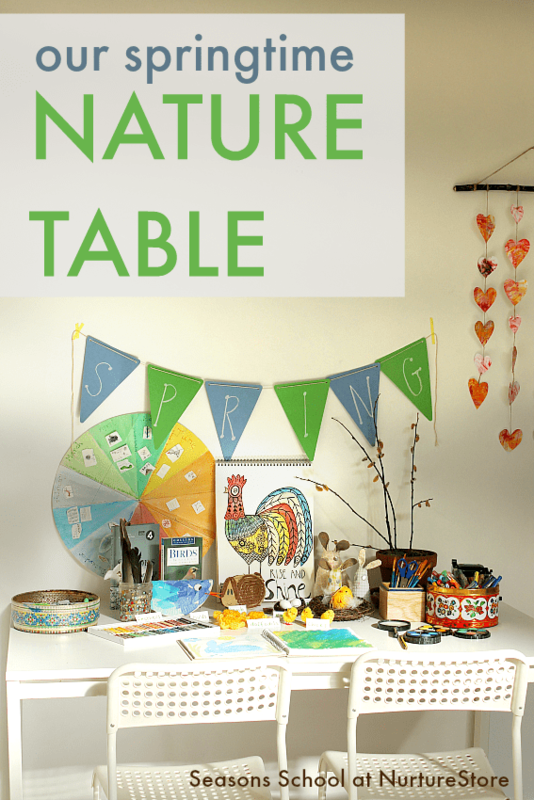 Some families use their nature table as a focus for decoration, gathering together springtime crafts and art. Other people have them as a hands-on area where children are encouraged to explore and investigate the materials. What kind of nature table would best suit your family? Your table might be indoors, on the porch or in the garden. Sometimes it is an actual table, but a shelf, mantlepiece, or window ledge can all work well too. The most important thing, I think, is to place it where it will be noticed, appreciated, and used. There’s no point setting it up in an out-of-the-way corner, where it will be forgotten and gather dust. For us, it works to have two nature spaces. One, often on the old school desk in our entrance hall or on the mantlepiece over the fire, acts as our decorative nature table. And then we have another, in the playroom or kitchen, which is more of a investigative nature table, which we use for art, science, and writing. :: art – your children’s drawings, posters of animals and plants, famous art work featuring the natural world. I think it’s such a treat to open up our ‘spring’ box and bring out all the previous years treasures that we made. :: your nature journals, paper, pens, and pencils. You could print a stack of our nature journal pages. 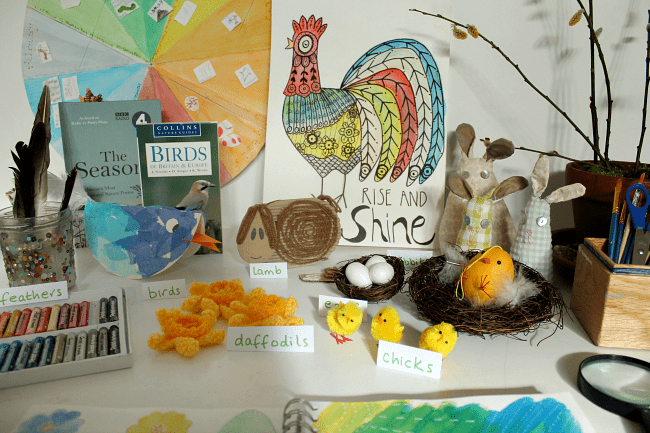 See my full spring unit lesson plans here. 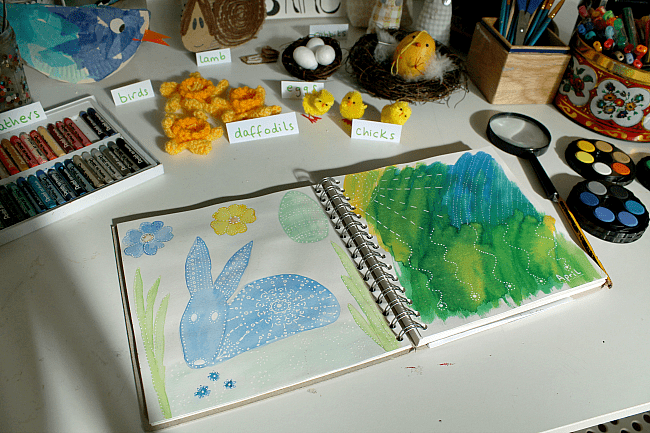 In one of the pictures of your nature table you have the most adorable fabric bunnies. Did you make them yourselves and if so can you pass on how? I love the nature table ideas you have here and my boys love to add finds to our table. Have a joyous spring.